The group RED VELVET's member Irene overwhelmed the crowd with her unrealistic historical beautiful appearance. On October 6, at '2018 Gangnam Festival Yeongdongdaero K-POP Concert' which was held in Seoul Samsungdong, all popular idols appeared and showed amazing performances. On that day, RED VELVET freshly appeared on the stage with 'Power Up' and continued heating up the autumn night with 'Bad Boy' and 'Red Flavor'. RED VELVET members caught attention with their stylish black and red check patterned costumes. Especially, Irene emphasized her skinny body line by slightly showing shoulders with a loose-fit shirt. Irene's remarkable beautiful appearance, especially her white skin that contrasts with her costume can be absolutely praised as 'legendary beauty'. Her convex forehead and the line of a sharp nose cannot even find a sense of reality. 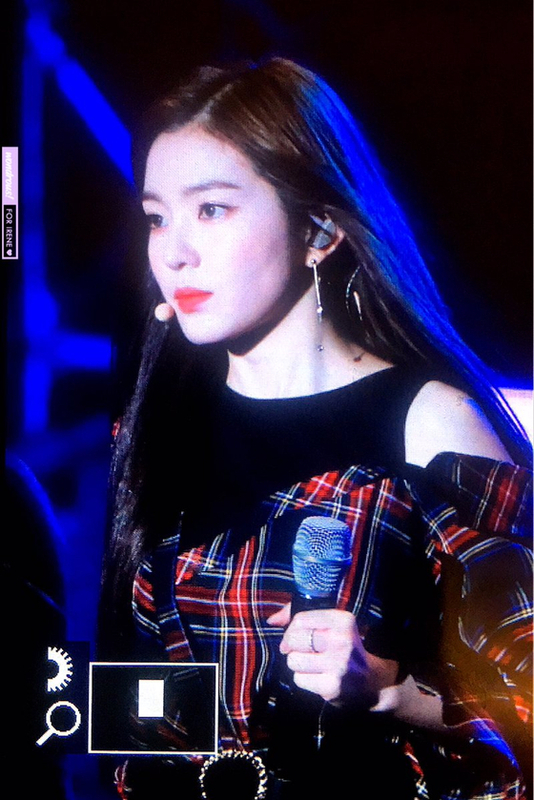 Netizens who saw Irene, who is recording beauty heyday every day since her debut, said, "God Irene b", "Leader, your appearance is amazing", "Irene's face is so LIT...especially her sideline! ".